Colin Green Photography: Top Withens. Emily Bronte's Inspiration. Top Withens. Emily Bronte's Inspiration. - Bronte Society 1964. 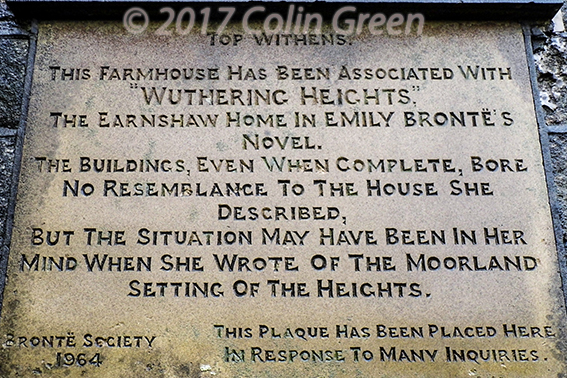 This plaque has been placed here in response to many enquiries. The farm was thought to have been built in the 2nd half of the 16th century and was lived in by the Sunderland family when the novel was published in 1847. The last known inhabitant was Ernest Reddy in 1926. There are a total of 11 different pictures featured in 2 albums. 7 photos can be viewed here on Flickr or the album below. The remaining 4 can be viewed only here on Clickasnap. The pictures were taken using a polaroid iS2132 Camera in March 2014. Click the image to view the album featuring 7 pictures. The following 2 images can also be seen on Flickr full size if you click them. The following 4 links take you to Clickasnap exclusive pictures that can also be purchased in various formats. For each view of over 10 seconds I receive a small payment from Clickasnap that helps support my blog and photography. 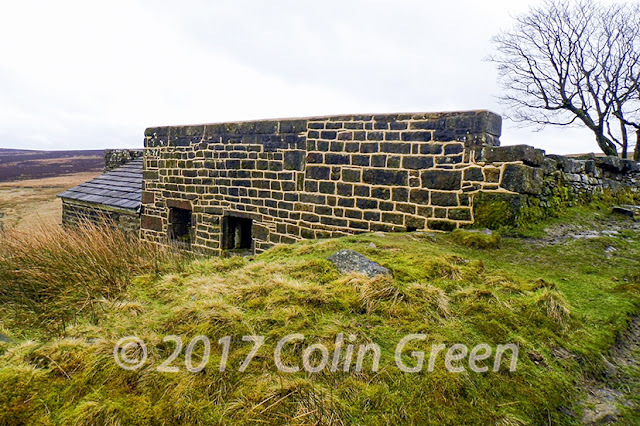 Click here to view "The Ruins of Top Withins" on Clickasnap. The picture opens in another window and shows what I think was the front of the house. Click here to view "The Bleak Path" on Clickasnap. Opens in another window and shows the moorland and paths on the walk up to Top Withens. Click here to view "Inside the Ruins of a Farmhouse" on Clickasnap. The picture shows the inside of the remains of the farmhouse and was taken from a high view point looking down. The link opens in another window. Click here to view "Haworth Moor from the Top Withens" on Clickasnap. Haworth moor pictured looking north east from Top Withens as pictured below. The link opens in another window. The following 2 pictures are exclusive to this blog page and do not feature anywhere else. The house taken from the north west corner. The plaque that stands on the south facing wall of the ruins.